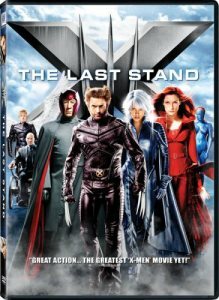 Having two movies already do well critically and commercially and establish the super hero franchise as big business, X-Men: Last Stand is looking to wrap up the trilogy and d what few third films have done – be a true success. It’s a tough ask, but with the cast returning, will the ingredients be in place to see another successful venture in the X-Men mythology? Once more the main cast returns to complete the trilogy namely Wolverine (Hugh Jackman), Jean Grey (Famke Jassen), Storm (Halle Berry), Ian McKellen (Magneto) and Patrick Stewart (Professor Xavier). Throughout the trilogy the tension between humans and mutants has been building. Now the straw that breaks the camel’s back is unleashed with a ‘cure’ finally designed to rid a mutant of her abilities. What is presented as a cure, is perceived by Magneto as the first shot in the war against his kind. Meanwhile the loss of Jean Grey has affected the X-Men deeply even Professor Xavier. Yet Jean’s departure was not all it was cracked up to be, and her re-emergence will have huge repercussions not just for the X-Men but for humanity and mutant-kind as a whole. As Magneto builds his army, and the X-Men suffer critical losses, the war starts at the root cause of the cure – a mutant, obviously. It starts there, but it could also end there with the size of the forces in combat. Only the X-Men stand in the way, but will they be enough? Trilogies, eh. What fascinating things. It is always tricky putting together three movies, and few trilogies have been able to end satisfactorily. The odds were made worse by the news that Bryan Singer the director behind the first two films couldn’t do complete the lot. There is something about continuity when the director of all people is missing from the project. So to have that added to the challenge of the third film anyway gave some concerns.